New Edition hot off the Ethernet. 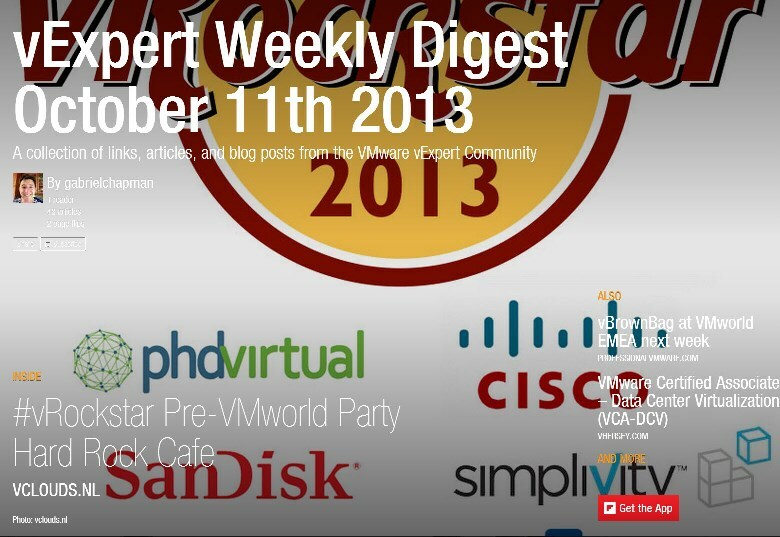 With VMworld Europe kicking off this Monday there is a lot of buzz around what the VMware community will be doing across the pond. Of course there will be some new sessions and new announcements that come out of this years show so I’m hoping to collect them all with the next issue. If you are going to VMworld Europe, its probably not too late to grab a ticket for the vRockstar party at the Hard Rock. Hit up Hans or Patrick.